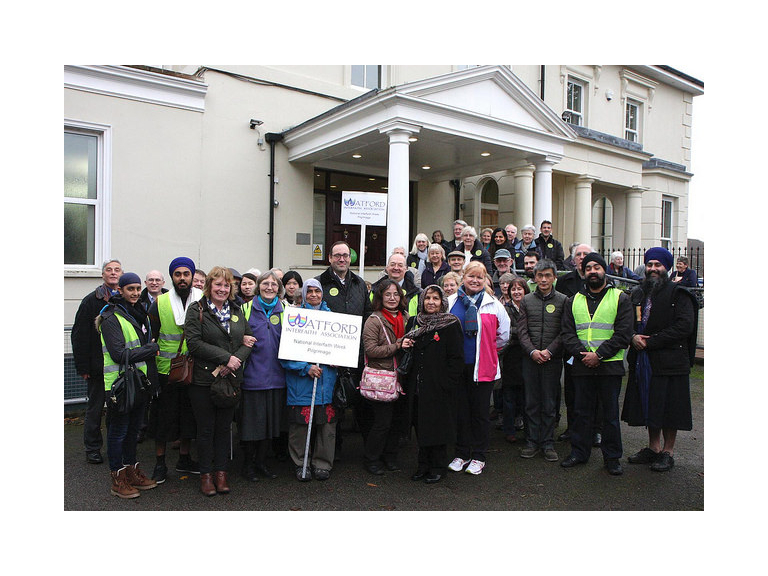 The sixth Watford Interfaith Pilgrimage took place on Sunday, with 100 people visiting the town’s places of worship. The pilgrimage, started at Watford and District Synagogue in Nascot Road and walked to St Mary's Parish Church in the High Street, onto the Sikh Gurdwara in Ladys Close and the Central Mosque in Cambridge Road. The group were joined by Richard Harrington MP and Elected Mayor Dorothy Thornhill and ended the day by joining the Diwali celebrations by the Pond.